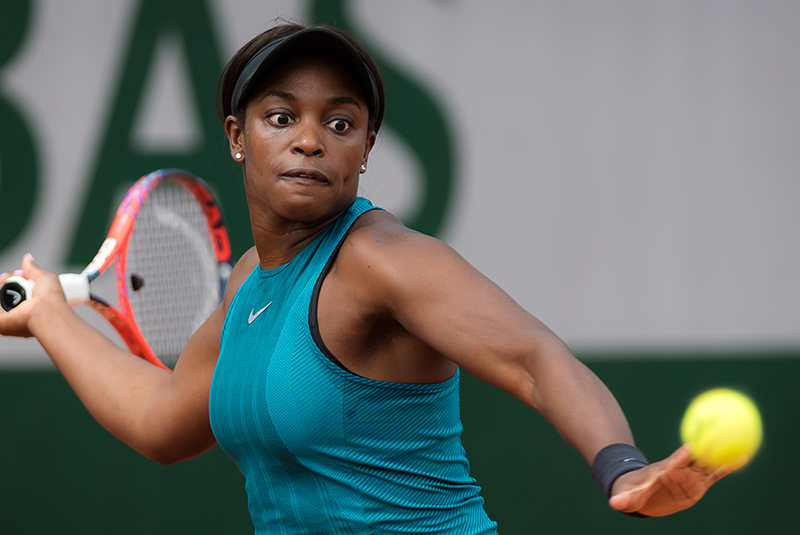 FROM ROLAND GARROS — Sloane Stephens was almost done, playing in the third set, against Camille Giorgi, at 6-6, the summer has arrived, and the heat was on. The Italian was so, so, close, but while she can smack winners, she can also miss it, on the lines. Really, it was the 2017 US Open champ Stephens to decide which way to go, very deep, short, and faster, harder or slower. No one knows whether Giorgi is locked in, or is she a little bit confused. Right at the end, Stephens was thinking hard, while the Italian was over-hitting. Stephens won 4-6, 6-1, 8-6. Now she has reached the fourth round, for the fifth time. Is it time for her to finally reach the quarters? Possibly, but not guaranteed. And, by the way, she is now reach No. 8, the highest women American, passing Venus Williams, at the least this week. After 10 months off due to her injury, Stephens did return until late June in 2017. She was always smart, but the good news is that when she was off, she watched a lot of tennis on TV and she learned a lot. Stephens has to play Anett Kontaveit, who upset Petra Kvitova. Kontaveit can smack her forehand and backhand, with a mediocre serve, but she can secure on the net. 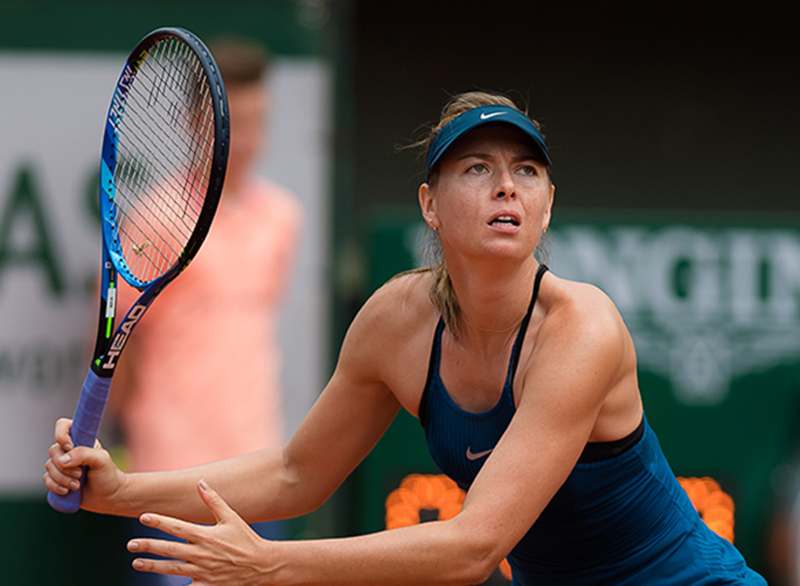 Maria Sharapova played a tremendous, fantastic match, blowing out Katarina Pliskova 6-2, 6-1. Sharapova was gone for 15 months, and when she returned in April of 2017, she was pretty shaky. It has been 14 months now, and she has had a few good wins, a few bad ones and some decent ones. She has been hurt a decent amount, but over the past couple of months, she has been pretty healthy. Now, she is more comfortable and she is beginning to swing it out. “I don’t like to feel too comfortable. I think there are definitely matches where you play flawless, you play great. But, I have said in my career where I have come off the court and said that was perfect is just a handful of times, because there are always things that you can improve,” Sharapova said. Next up for Sharapova is Serena Williams who beat Julia Goerges 6-3 6-4. Serena played very well, the best day this year. She was pretty quick, and her serve, forehand and her backhand were deadly. Now she has to play against Sharapova, which could be a fun match, but Serena is 19-2 in the head to head. In 2013 in the final here in RG, Serena won 6-4, 6-4. That was a little bit closer, but still, Serena had been absurdly dominant. In the past 10 years, Serena has won 24 sets, and Maria has won just one. Even though they have changed a lot over the past two years, still, Serna is the favorite, hands down. Marin Cilic is playing very well, knocking out Steve Johnson in three sets. He likes the heat, and he can be very forceful. He has to play against Fabio Fognini, who overcame Kyle Edmund is five sets. Cilic is the favorite, but the Italian is on a roll and can be a factor here. … David Goffin was almost downed and out in the fourth set, but he recovered to smash some amazing shots. He wore out Gail Monfils 6-7, 6-3, 4-6, 7-5, 6-3. The Belgian likes to move it around. … Rafa Nadal is just crushing the ball. He destroyed Richard Gasquet, for the 16th time. You have to think that Nadal will reach the semis, and then go against, I think, Cilic/Fognini/JM del Potro or — imagine this — John Isner, who just won over Pierre Herbert in four sets . On clay, finally, for Isner.